The first look at Several Ways to Die! We are excited to announce that we will be publishing Several Ways to Die in Mexico City, an autobiography by Kurt Hollander, this Fall. We have included a lengthy excerpt from the Food chapter below which details some of the city’s deadliest offerings. A hilarious and harrowing story populated by pollutants, parasites, and paranoia, the book is a conceptual and visual exploration of the relation between the author, his large intestine and the mega-city in which he lives. 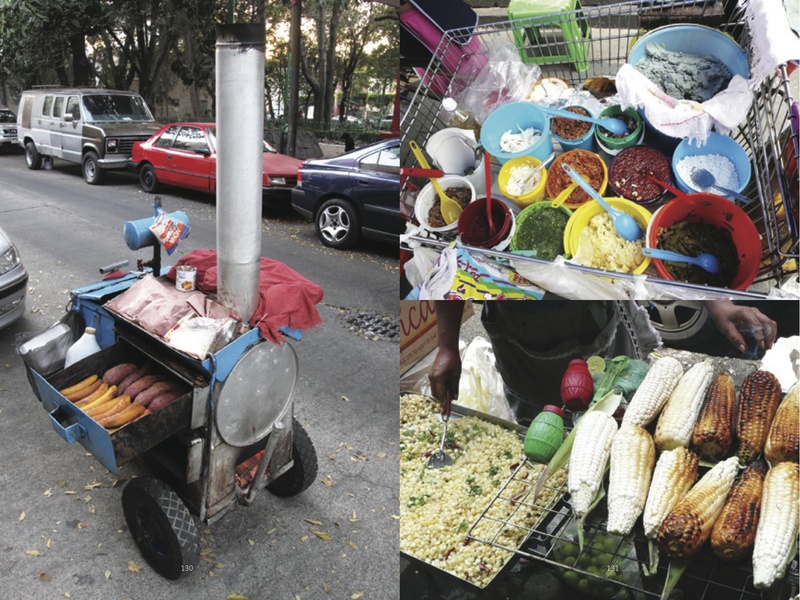 This book examines the principal contributing factors (air, water, food and alcohol) to the causes of death and the culture surrounding death (medicine, religion and burial sites) in Mexico City in order to graphically illustrate the ways in which cities shape our lives and our deaths. Several Ways to Die in Mexico City grew out of articles published in the London Guardian Weekly, Salon and The Ecologist. Another excerpt from this book will appear in an upcoming issue of Guernica. Kurt Hollander is a New Yorker who has been living in Mexico City for over twenty years. Many gringos have lived in Mexico City and many gringo writers have written about the city, but few have stayed so long and played such an important role in the culture of the city. For eight years Kurt edited Poliester a contemporary art magazine of the Americas, which transformed the art scene in Mexico City and throughout the region. Kurt translated books of fiction by two of the best contemporary Mexican writers (Mario Bellatin and Francisco Hinojosa) and got them published in City Lights. He wrote several children’s books (“Existential Stories for Cool Kids”) that were published by the Mexican government and distributed in hundred of thousands of schools across the country. He authored two photo books on popular Mexican culture (El Super and Sonora: The Magic Market). His photographs have been shown in the Palacio de Bellas Artes, La Panaderia and El Salon des. He wrote and directed the feature film Carambola, starring Diego Luna and Roberto Cobo (the lead in Buñuel’s Los Olvidados), which premiered in more than 30 cinemas in Mexico City in 2005. Kurt has written over a dozen articles for the London Guardian Weekly (the inspiration for this book), has contributed to Salon, The Ecologist, the LA Times and NY Times, The Nation and Art in America, and most recently has been publishing his writing and photographs in the Mexican culture magazine Letras Libres. The most important thing Kurt has done, however, at least in terms of this book, is come down with an especially nasty case of Salmonella. Between the aggressive parasites and the toxic treatments he received, his immune system fell apart and he became an open wound, vulnerable to all that hung in the air he breathed, floated in the water he drank, hid in the food he ate and was added to the alcohol he drank in Mexico City. Investigating the latest discoveries about the mega-city of microorganisms that exists in the human large intestine and tracing its relation to the mega-city of Mexico City, the book offers new insight into health, hygiene, immune system disorders, medicine and urban centers, provides an in-depth, personal account of the author’s future death, and argues that the unexamined death is not worth dying.